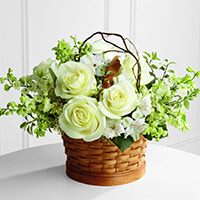 Provide comfort for the family of Carol Blodgett with a meaningful gesture of sympathy. Carol Ann (Ahearn) Blodgett passed away on Saturday morning, December 29, 2018. Carol was the only child of the late Charles & Rita Ahearn, born October 11, 1938. She was born in New York City and grew up on Rae Avenue in Needham, MA. After graduating from Needham High School, she attended Becker College and received her Associates Degree as a Medical Secretary in 1958. After graduation she went to work at Newton-Wellesley Hospital. On December 1, 1962, Carol went on a blind date with Bill. After that they were together for the next 56 years, marrying on August 24, 1963. 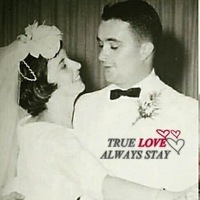 After marrying, Carol and Bill made Waldoboro their home, where Carol passed away surrounded by her loving family after a yearlong courageous battle with lung cancer. Over the years Carol and Bill raised their children, Seth (Cindy) of Waldoboro, John (Tanya) of Waldoboro, Theresa Dube (Roger) of Winthrop and Kathleen Leeman (Wayne) of Nobleboro. They also have 10 grandchildren and 5 great-grandchildren. When her children were young, Carol worked as a teacher aid at Miller Grade School. When the kids became teenagers, she began her career at Miles Memorial Hospital as a Medical Secretary and retired after 28 years in 2010. She remained close with her work family and enjoyed seeing them even as she became ill.
Carol served as the secretary for the Waldoborough Historical Society, Vice President for the Waldoboro Woman’s Club and served in various offices for the Waldoboro Lions Club. She also volunteered in Democratic functions when needed. Carol also taught catechism in Waldoboro and was a member of St. Bernard’s Roman Catholic Church in Rockland. A Celebration of Life will be held on Friday, January 4, 2019 from 5-7pm at Hall Funeral Home, 949 Main Street, in Waldoboro and a Funeral Mass will be held on Saturday, January 5, 2019 at 11am at St. Bernard’s Roman Catholic Church, 150 Broadway, in Rockland. The family would like to thank all the wonderful family & friends that have reached out during this difficult time but also those that have been supportive through her illness. She would be the first to say, “I love you all”. Mikki and Jay Studley , The Drouin-Scease Family, and others have sent flowers to the family of Carol Ann Blodgett. My deepest sympathy to Bill and the rest of the Blodgett family for the loss of a great mother, wife and person I knew while a volunteer at Miles. Dear Bill and family, wrapping you all in hugs, prayers and love in this very difficult time. We are with you all in spirit as you celebrate the life of this wonderful lady. Much love. Mikki and Jay Studley purchased the The FTD Peaceful Garden Basket for the family of Carol Blodgett.